Naoufal Houmairy started playing tennis at the age of 10 and became so passionate about it that he started competing nationally. He then started playing semi-pro tournaments when he turned 17. 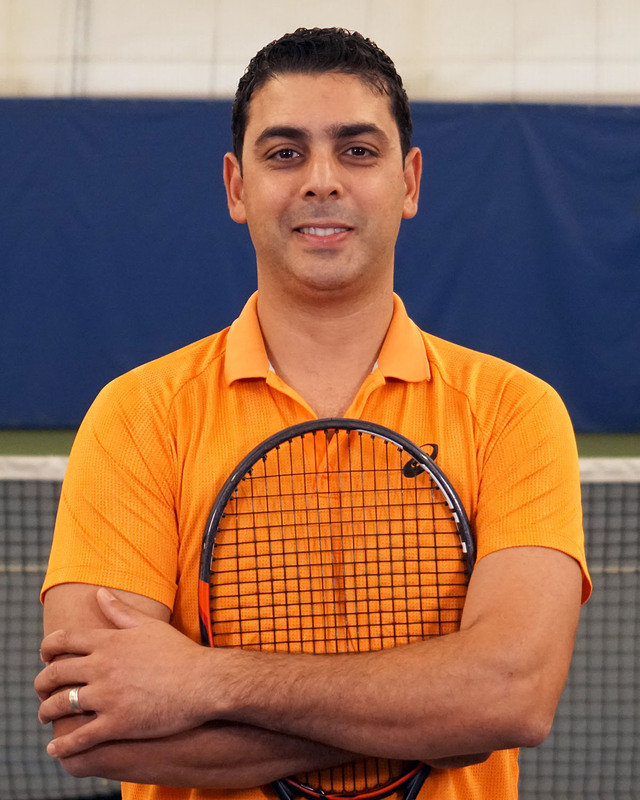 Naoufal has been a tennis professional since 1999 and has accomplished many accreditations in his career: (1) PTR Certified Professional in High Performance and 10 & Under, (2) USPTA Certified, and (3) Etcheberry Certified Professional. Naoufal has over 16 years experience of tennis coaching and teaching. Each summer, since 2008, Naoufal was the head pro at Wayland Swim and Tennis Club until becoming the director of tennis in 2014. As of 2016, Naoufal is the Head Coach for the girls Varsity tennis team at Noble and Greenough. 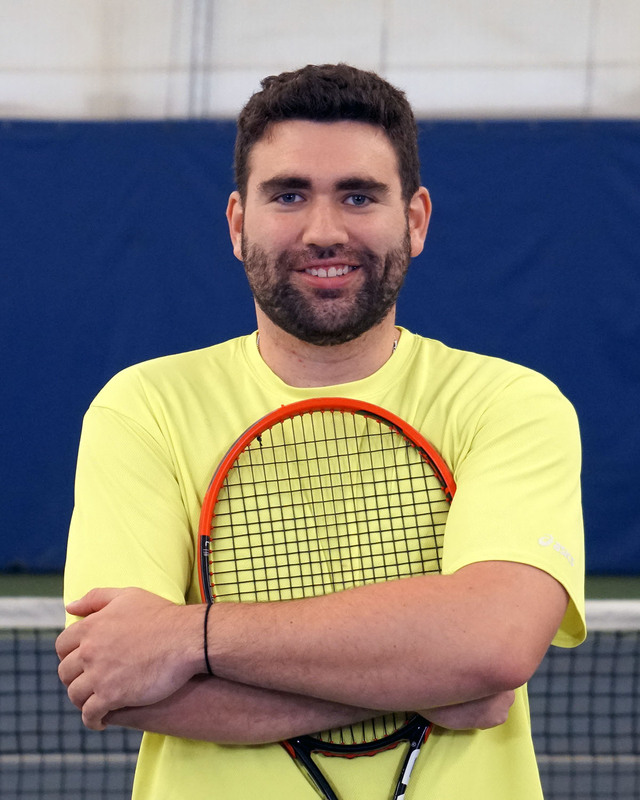 He also currently coaches women and men’s teams of DBH and Central Mass League since 2002 and runs D.H.A.C Junior Tennis Academy since September of 2014 at Dedham Health Athletic Complex. Nadia is originally from Morocco. She has represented her country in many domestic, international tennis tournaments including WTA competitions and the African Championships. She was ranked among top ten Moroccan juniors and was the Moroccan women’s singles champion in her category in 1995. Nadia is PTR certified and has 18 years of junior and adult coaching experience. Nadia manages and coaches 2 mixed doubles teams with a successful season that lead to nationals 3 years in a row. 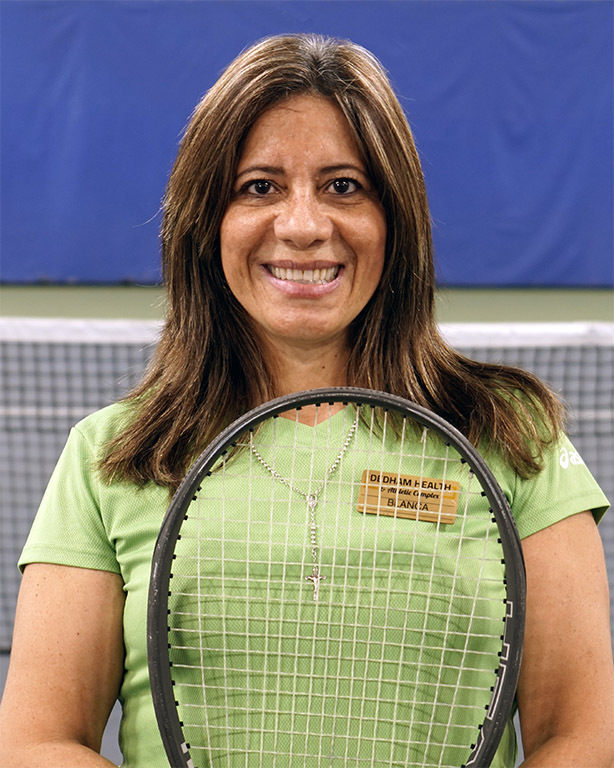 Before joining the staff of DHAC in 2003, she was an instructor and the lead tennis professional for children’s tennis at Sportsmen’s Tennis and Enrichment Center in Boston from 2000-2002. Alberto was a professional tennis player in Columbia, as well as the captain of the 12’s and under Colombian team in South America. 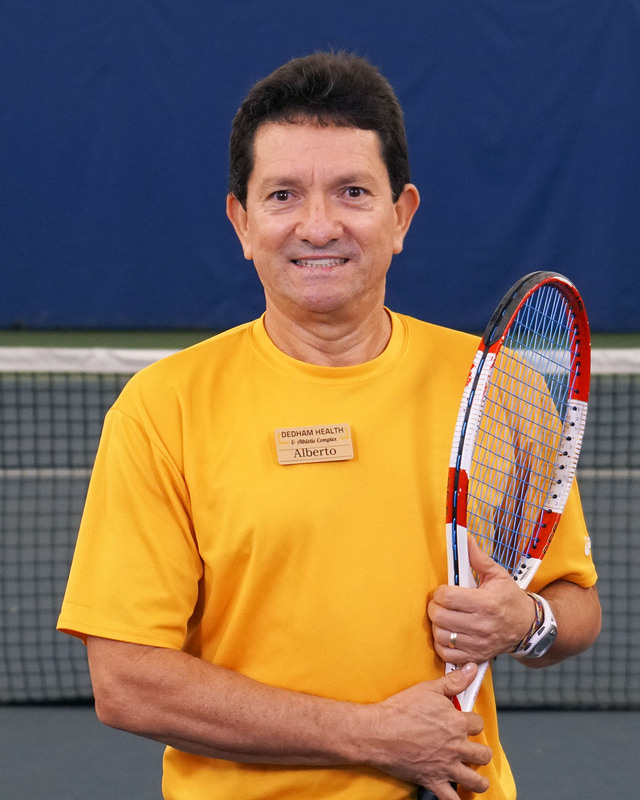 Alberto holds both ITF and PTR certifications, enjoys working with kids from ages 10 and under to high performance. Alberto has an incredible 35 years of coaching experience. Biodun Ibiribigbe (AB) was born in lagos Nigeria where he grew up learning the game of tennis.From learning the game at a young age he played in both local and international tournaments under the International Tennis Federation (ITF) and also played in USTA leagues. With passion For the game, he started teaching. 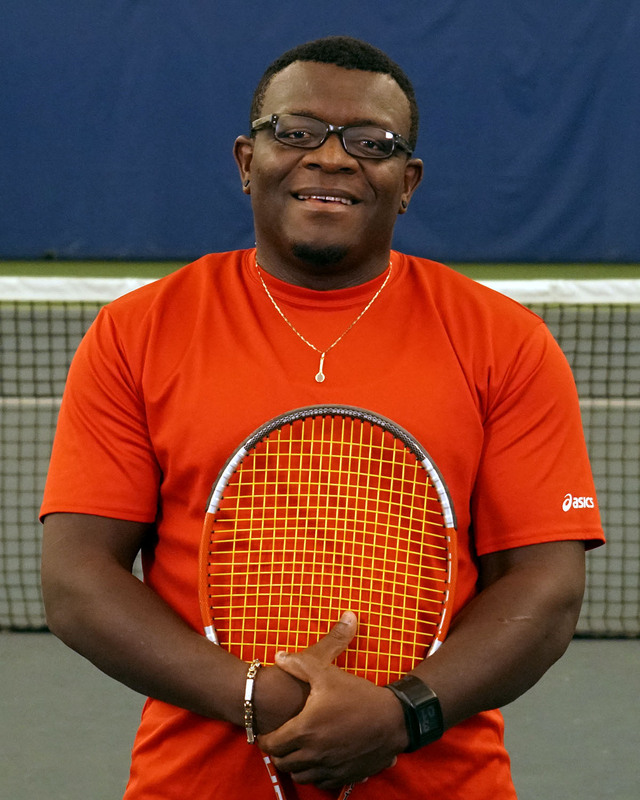 With over 20 years of playing and teaching experience, Biodun has taught in both recreational tennis clubs and summer camps to the date.He continues to spread his experience with teaching tennis to all ages and levels of players. Biodun is PTR certified with a professional rating ,also is a Certified Safety Care Professional. Biodun is pleased to be part of the coaching team at Dedham Health Athletic Complex. 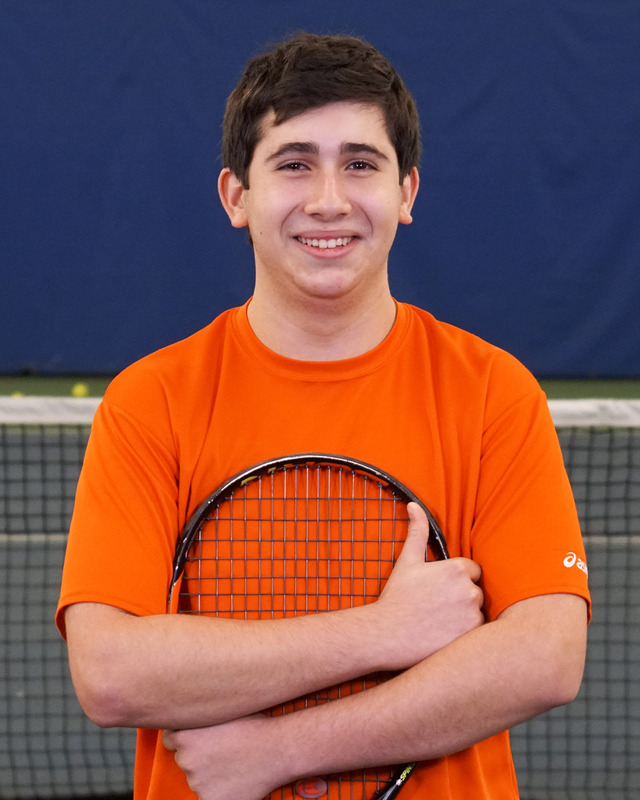 Jonathan has been playing tennis since he was 8 years old and competed throughout his junior years in both New England and National tournaments. He retained a top-5 ranking in New England through the 12’s and 14’s and was a Boston globe All-Scholastic award winner for his high school team. Jonathan is PTR certified and enjoys teaching all ages and skill levels. Anna Grew up In West Sussex, England and started playing tennis from a young age. She continued her love for tennis into the varsity level and competed for the University of Massachusetts Women’s tennis team from 2013-2017. She was captain her senior year and lead the team to conference champions for the first time in 16 years, making the NCAA’s. 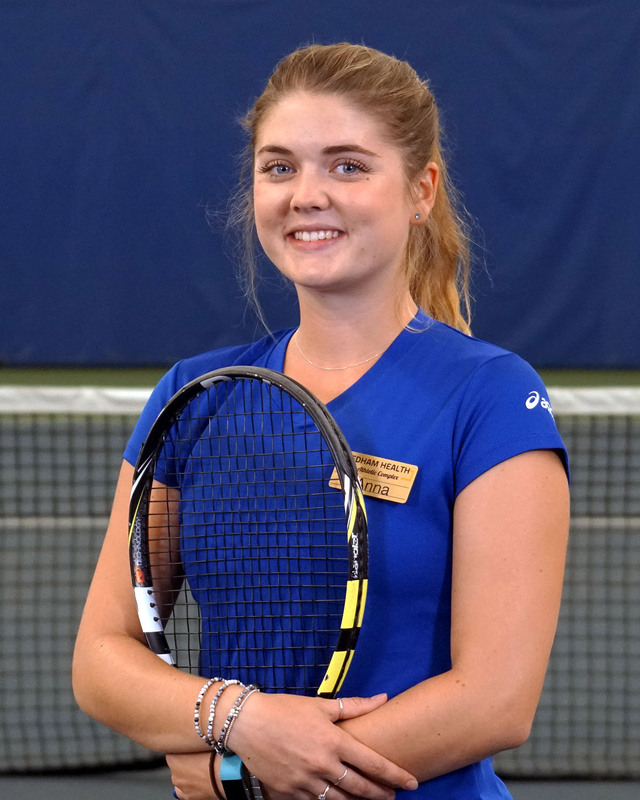 Anna has been coaching tennis for the last 6 years and has a passion for sharing her love of tennis with others. Anna was the head of lower camp at Longwood Cricket Club this summer after graduating from Umass Amherst. She has moved to the Boston area to further pursue her love for tennis coaching. Anna is a LTA level 1 certified tennis coach (UK) and PTR certified. Keller Andrew Dinan was born in The Berkshires of Massachusetts, growing up, Keller starting playing sports at age 3 and tennis at age 5. Graduating HS from Monument Mountain Regional High School in 2010, then attended Endicott College to earn his BS in Sport Management with a Minor in Coaching along with playing DIII tennis at the institution. While at Endicott, Keller performed three internships upon graduation, which lead him to currently work with the Boston Red Sox within the Kid Nation Program upon graduating. 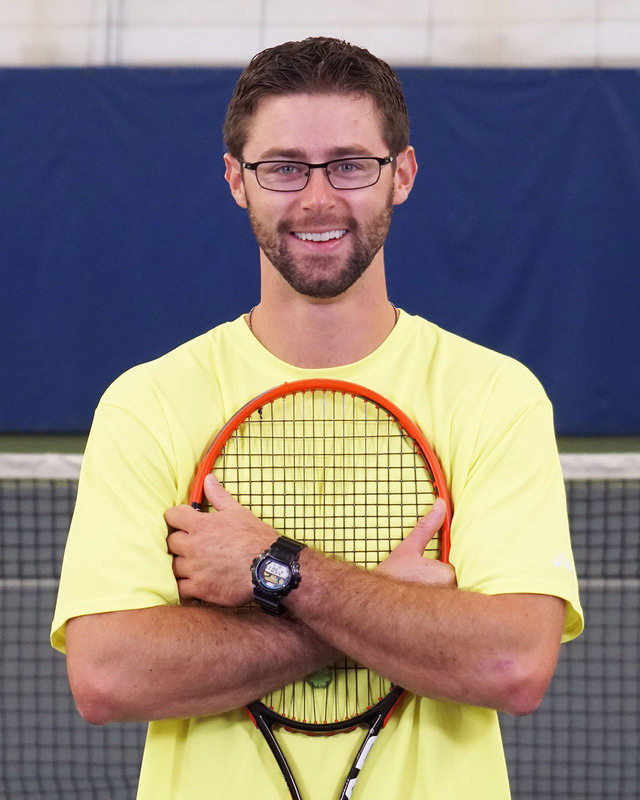 Keller started teaching tennis as of age 14 at Wyantenuck Country Club, he joined DHAC Junior Tennis Academy Staff in the winter of 2016. Keller has been driven to working with kids in getting them to love the game of tennis, and to learn valuable lessons on the court that they can take off the court as well. Keller also can be seen playing fun games on the court with the kids programs, and making fun jokes with them as well! Blanca is originally from Colombia where she trained in socialization and child development. Blanca is PTR certified. She is passionate about teaching tennis, and she has 16 years experience training children. Blanca has an extensive tennis background; she is a Mother and a trainer of recognized tennis players ranked top 1 in Colombia. In 2017, her family received the Edwin Goodman Family of the Year award by USTA for their excellent work developing and coaching junior and adults programs, competing in tennis, and enriching the game of tennis in the USA. Carmen was born in Bucaramanga, Colombia. Carmen played basketball while in college and won five national championships, before she went on to make the Colombian national basketball team. Later in her career, she received a full scholarship to Oklahoma City University and played in NAIA Division 1. Carmen decided to move to Boston where she started to train for 5 and 10k races. In 2015, Carmen represented the team of Colombia in the Maxi Basketball World Cup in Orlando. 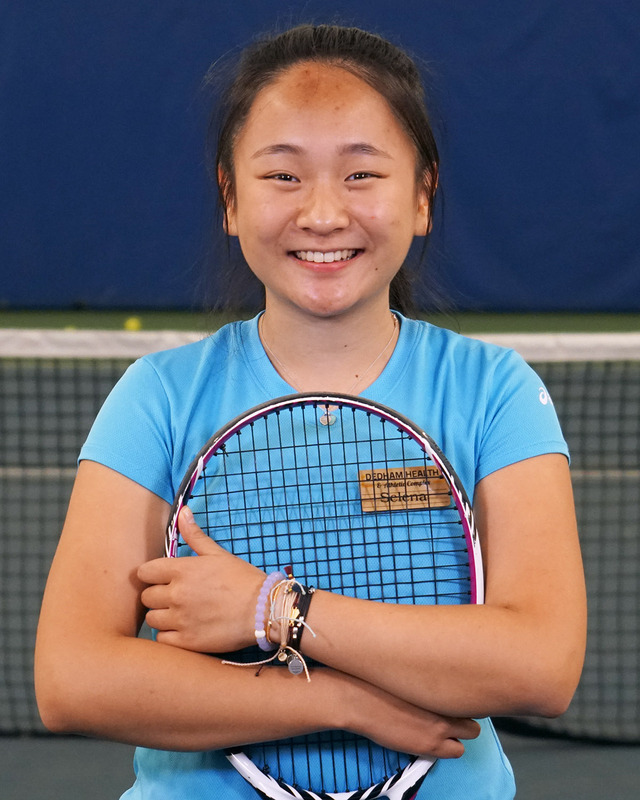 Carmen’s main focus now is fitness, and she proudly joined the DHAC Junior Tennis Academy Team in 2016 and achieved her Professional Tennis Registry (PTR) certification to train and challenge our young players. Selena is currently a senior at Wellesley High School. She has been playing tennis for ten years, and is a member of her school’s girls’ varsity tennis team. Selena loves teaching younger children and is grateful to have the opportunity to spread her passion for the sport to others. Aside from tennis, she enjoys spending her time delving into music and art. Hannah is 17 years old and has been playing tennis for about 7 years. 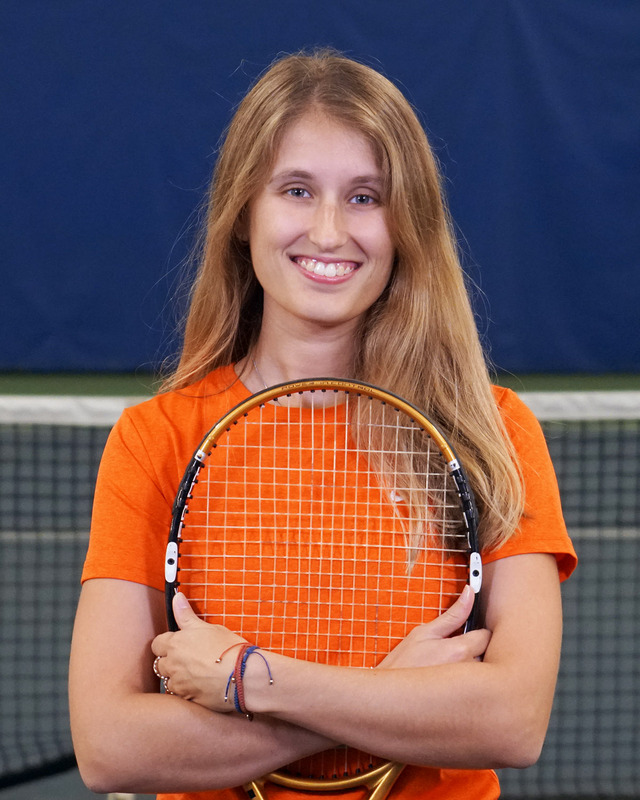 She is currently a senior at Westwood High School where she plays for the varsity girls’ tennis team, and she is set to be co-captain of the team in the spring. She taught at DHAC for the past 2 years as a tennis pro for primarily red and orange ball players. Outside of tennis, she has a passion for science and art, and is looking to pursue business in college. Misha is a junior at Newton South High School. He first showed an interest in tennis at five years old, when he saw his mom play. He’s been taking lessons for years and is currently on the school’s tennis team. For two summers, Misha worked as a counselor at day camps, and really enjoyed working with kids. Coaching tennis was the natural next-step, as it combined his passions for tennis and teaching. In his spare time, Misha enjoys making music, writing and playing sports with his friends. 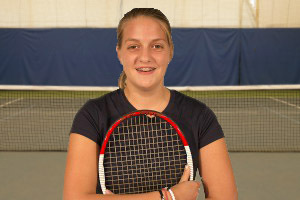 Kristina Ortloff grew up in Westwood, MA playing tennis here at DHAC. She was captain of her high school tennis team, and then went on to study Elementary Education at Boston University. She later earned a master of education in mathematics in education from Lesley University, and currently teaches 5th grade Math and Science in Lakeville, MA. 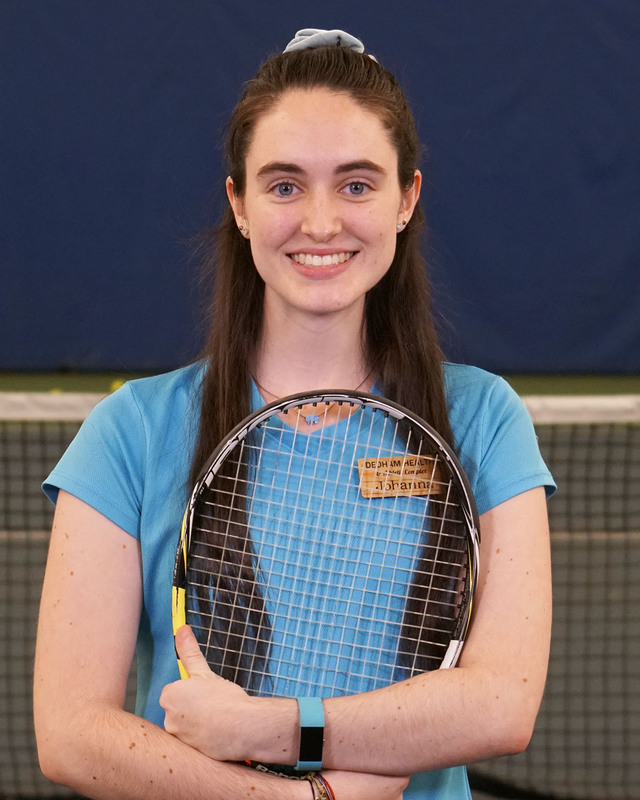 Outside of tennis, Kristina has a fourth degree black belt in karate and ran the karate program within the Westwood Recreation Department for several years. She is extremely excited to return to DHAC in a coaching capacity and work with new tennis players! Zara has been playing tennis since she was 8 when she started lessons at her middle school. Since then she has played with a friend at different locations before coming to Dedham in her freshman year of High School. When she’s not playing tennis she enjoys playing piano, swimming, spending time with friends, and watching my favorite shows on Netflix. Alessia is currently a Junior at Ursuline Academy. She is a former top 10 USTA New England girls tennis player. 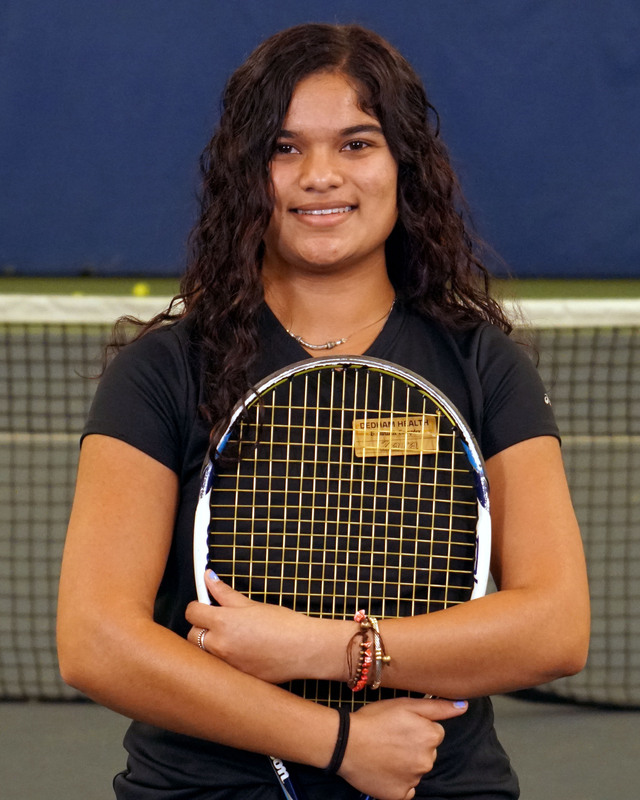 While still playing for Ursuline Academy for the varsity team she has amassed a record of 61-9 at first, second, third singles and first doubles combined. Alessia is a 2 time conference all star, 3 time conference MVP and won the coaches award as a freshman. She helped her team to win a spot in the MIAA state semi finals and 3 catholic conference championships. 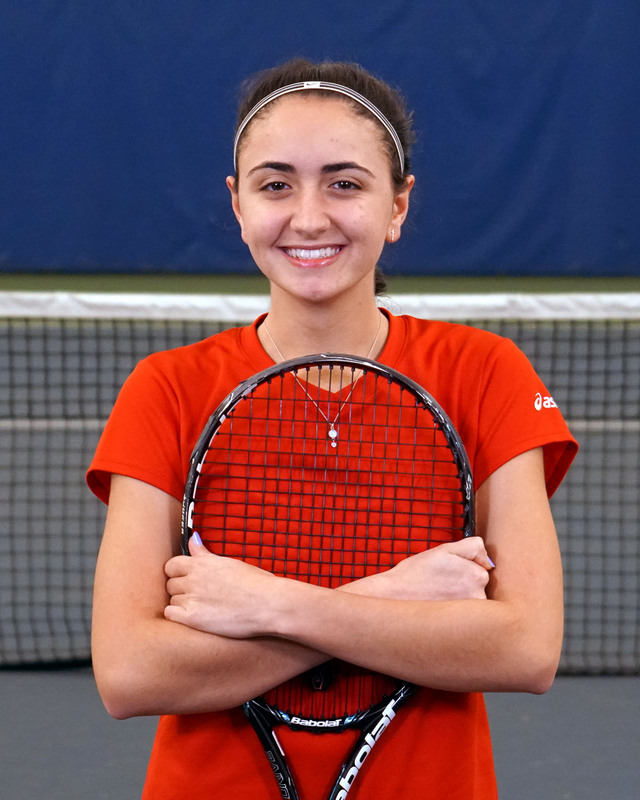 Alessia currently holds a school record for longest varsity tennis match at 3-1/2 hours long. She is a PTR and USTA member. 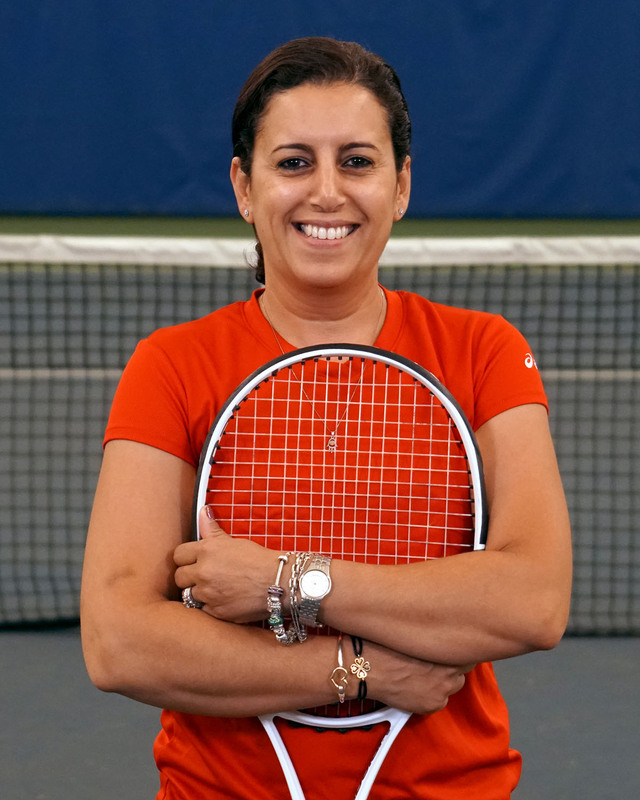 Alessia loves teaching all levels of tennis and enjoys sharing her knowledge of tennis with children of all ages. Oriana Attridge is in her senior year at Westwood High School where she plays tennis in the spring, and soccer in the fall. 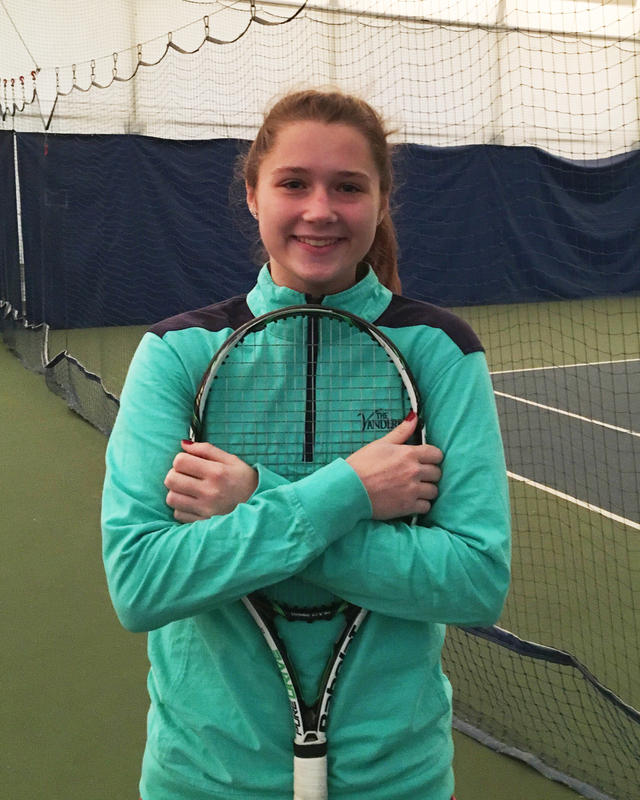 She has been playing tennis since the age of ten, but took some time off to focus on her academics and other sports such as ice hockey and soccer until her Sophomore year of High School. She has been playing tennis for Westwood High School since her sophomore year, and was a co-captain of the Girls Junior Varsity Tennis Team during her junior year (2017). 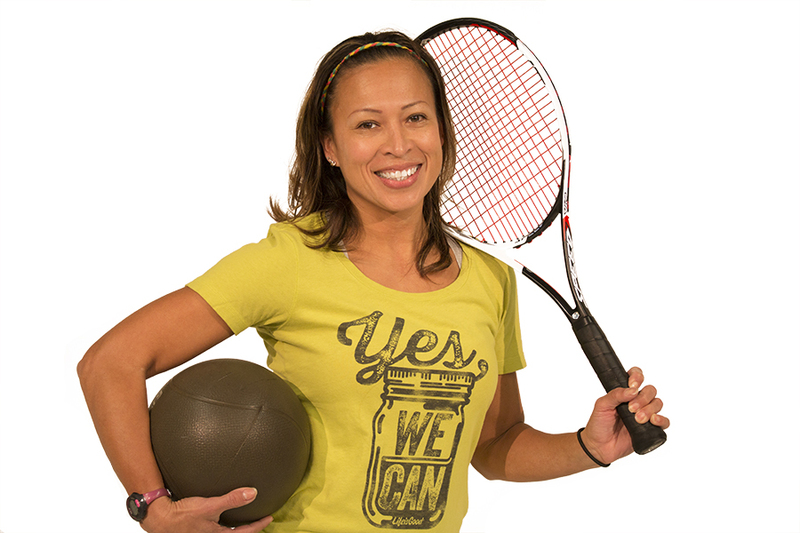 This is her second year working as a tennis coach at Dedham Health and Athletic Club teaching red ball. Oriana was a co-captain of the Westwood Girls Varsity Soccer team this past fall (2017). She is a recipient of the MIAA Tri-Valley League All Star Award (2015 and 2017), and the Westwood High School Sportsmanship award (2017) for soccer. During the summer she is a camp counselor and lifeguard at Nobles Day Camp in Dedham, and she will be attending college in the fall of 2018. Oriana loves working with kids, and watching them grow as players. For more information on Junior Tennis Academy, please contact membership at 781-326-2900.